Brookfield Asset Management Inc. (BAMa.TO) is planning to buy a commercial property site in Shanghai for around US$2 billion, according to people familiar with the matter. Brookfield Strategic Real Estate Partners III is considering buying three office towers and a retail mall at Greenland Huangpu Center from a unit of Greenland Hong Kong Holdings Ltd., the people said, asking not to be identified because the details aren’t public. A transaction of that size would rank among the biggest commercial property deals in China by a foreign firm. Singapore’s CapitaLand Ltd. and GIC Pte spent 12.8 billion yuan (US$1.9 billion) in November for Shanghai’s tallest twin towers, located along the city’s North Bund. That was Shanghai’s largest commercial property deal involving a foreign investor, according to CBRE Group Inc.
Greenland Hong Kong’s stock has been halted since Monday pending a “notifiable transaction.” A Hong Kong-based media officer for the company didn’t immediately respond to an emailed request for comment. A media representative for Brookfield Asset Management in Asia Pacific said the group was unable to immediately comment. Separately, Brookfield is in talks with banks for a loan of as much as US$1 billion to back its planned purchase, three of the people said. The financing would include both onshore and offshore tranches, they said. The Canadian alternative asset manager in January announced the closing of Brookfield Strategic Real Estate Partners III, its latest flagship global private real estate fund. BSREP III is Brookfield’s largest private fund to date with total equity commitments of US$15 billion. The foray wouldn’t be Brookfield’s first in China. In 2013, the group agreed to invest $500 million into Shui On Land Ltd.’s Xintiandi entertainment complex unit in Shanghai. Last year it partnered with Singapore-based warehouse operator GLP Pte to develop rooftop solar projects in the nation, and purchased two retail malls in Shanghai for US$285 million. 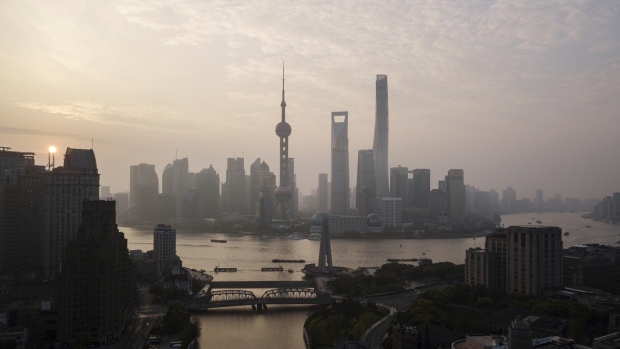 Commercial property investments in China rose 9.5 per cent last year to a record 296 billion yuan, with about one-third of that coming from overseas investors, Cushman & Wakefield Plc data show. And foreigners are keeping up the pace, accounting for about half of the 53 billion yuan of transactions in the first quarter, according to Sam Xie, CBRE Group Inc.’s head of research in China. For the first time in at least three years, China ranks as the No. 1 cross-border property destination, according to an investor-intention survey by CBRE. Shanghai is the No. 1 city. Blackstone Group LP is considering an acquisition of Shanghai’s Chamtime Plaza for more than 10 billion yuan, other people familiar with the matter said last month.